Happy plants, happy people ! Fruit tree start bearing fruits in their third year. 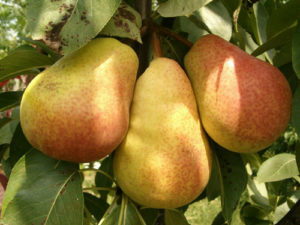 Asian pears, apples, figs, and European pears are all easy to grow. 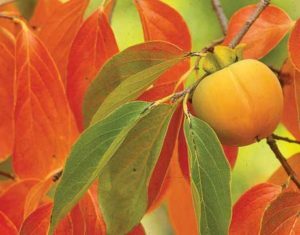 Because of disease issues, apricots, peaches, and cherries need more care. If you’re squeezed for space, consider buying a dwarf or semi dwarf tree, which will only grow 20 feet tall at the maximum. Depending on the variety, some trees may require a pollinizer to produce fruits. Just ask our knowledgeable staff if your choice of tree needs a pollinizer. The most important rule about fruit trees, is that they require a warm sunny spot, but mostly it must have good drainage for the tree to survive, especially in the winter. During summer a regular watering schedule is required. Application of dormant oil, an organic and natural product, once in November and once in February, then a combination of dormant oil and sulphur in March, before the buds appear, will give you the success and the enjoyment of your crops. We have dormant oil kits available at our Garden Center. You may find that renting a sprayer to apply is best practice. Choose a dry, calm morning to apply your dormant oil, so it has time to dry on the tree. We recommend this procedure be done on all your fruit trees. Your roses, spruces and others garden dwellers will also benefit from an application. Pruning is to be done yearly, in early spring, to shape and balance your tree. The goal is to open the tree to sunlight and air circulation. For easy picking, your aim should be to maintain five main branches that are balanced. Train your fruit tree so they have a strong, upright trunk, and well-spaced, spreading side branches. 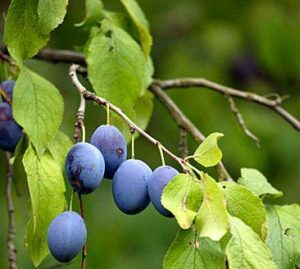 Prune your tree to remove broken or diseased branches, and remove crowded branches to increase productivity. 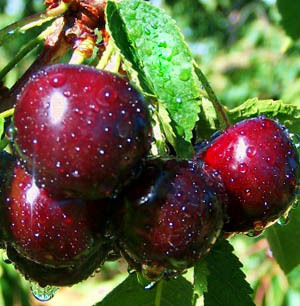 It’s especially important to prune branches on apple, cherry, pear, and plum trees. That’s because these types of fruit grow on spurs, which are short twigs that grow on older wood. These spurs will die if they don’t get enough sunlight. Come by, and we will happily explain and show you how to prune your fruit tree properly. All our trees come with an attached informative tag, for further reference. Kleijn Nurseries and Garden Centre is located in the Vancouver Island city of Nanaimo, in British Columbia, Canada. We are open daily, 10 am until 5 pm. We accept cash, debit and most major credit cards.